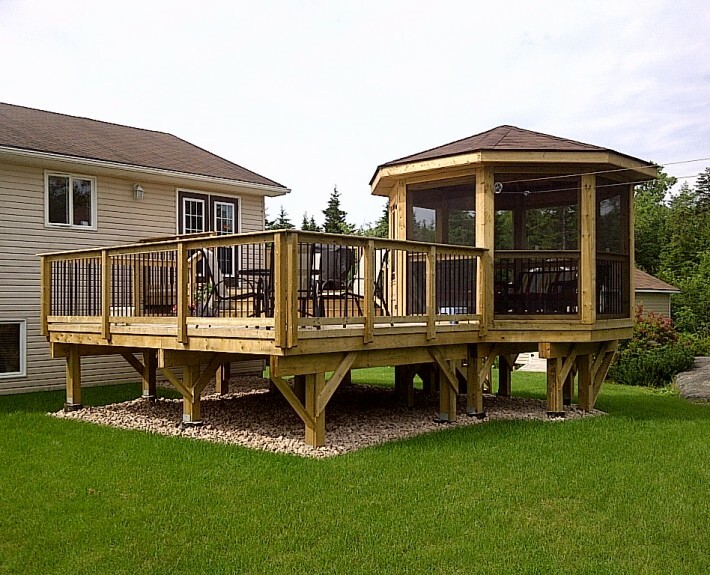 A backyard oasis is what this homeowner desired and the builder deck they had just wasn’t cutting it. 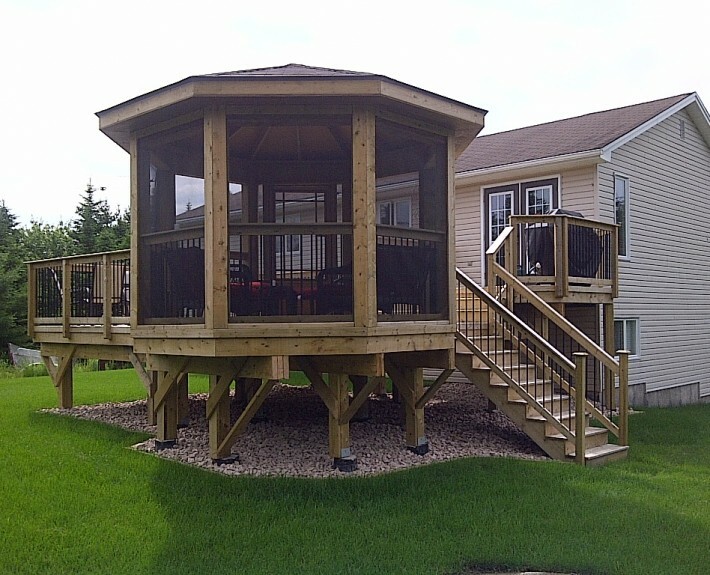 This home owner wanted a functional deck on multiple levels that was finished with an octagonal gazebo to escape the summer bugs. We gave them just that! 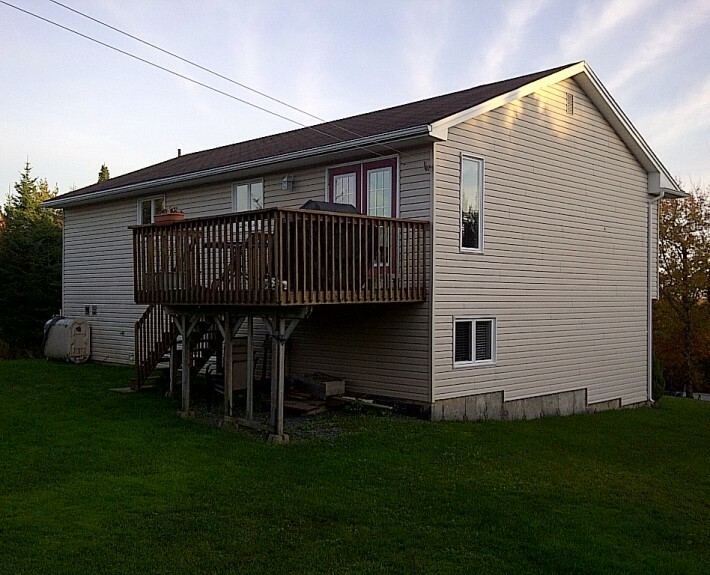 A large multi level pressure treated deck with black aluminum balusters. 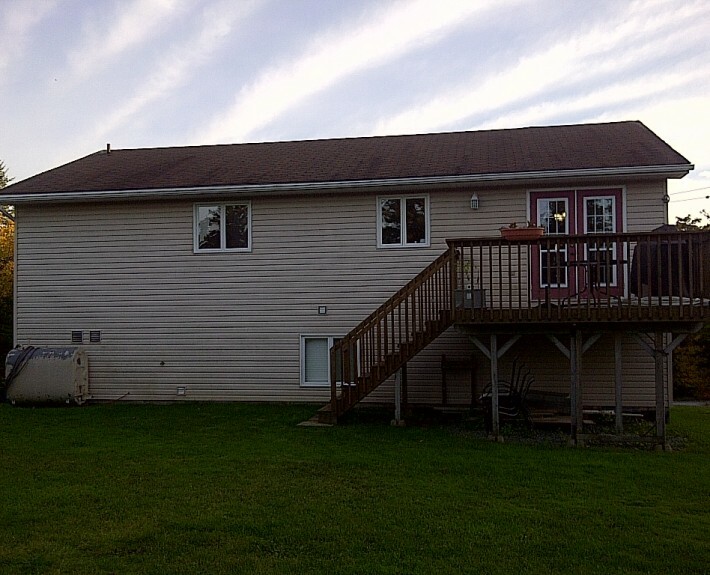 Walking out the back door you step onto a BBQ area, lower level deck for entertaining with an attached gazebo for late night lounging all finished with access to the backyard.